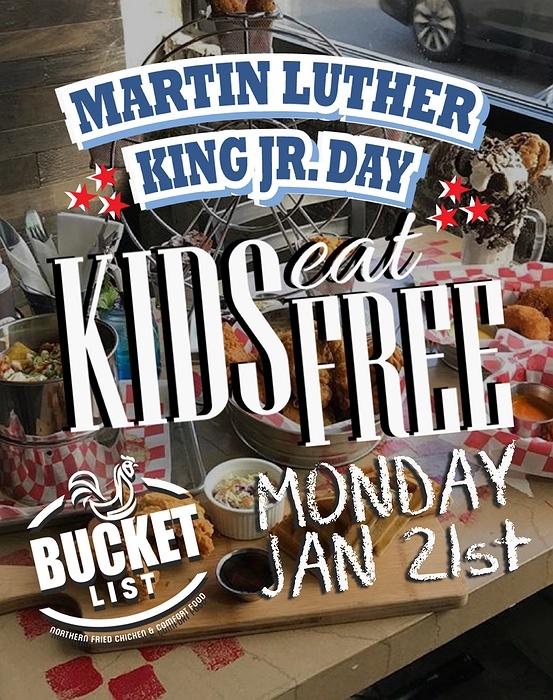 Kids Eat Free On Martin Luther King Jr. Day! Subject: LongIsland.com - Your Name sent you Event details of "Kids Eat Free On Martin Luther King Jr. Day!" All kids eat free on Monday December 21. Get a free kids meal with the purchase of an adult entree!